Meet the excellent team working to secure the future of black tailed godwits in the UK. 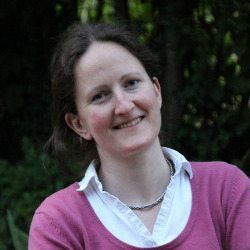 Jen is a Principal Conservation Scientist from the RSPB’s Centre for Conservation Science. Jen’s research specialises in the ecology of breeding waders and mechanisms for reversing their declines. Jen is an expert at finding wader nests and her other field skills include bird ringing and radio-telemetry. Jen leads the research team monitoring the black-tailed godwits during the breeding season at the Nene Washes. Geoff is Head of Conservation Science at WWT. Geoff’s primary interest is using any and all scientific techniques to provide the evidence needed to underpin wetland conservation. Geoff manages a team working on threatened species recovery and the functions and benefits of wetlands. Geoff leads the research team assessing the outcomes of black-tailed godwit headstarting at the Ouse Washes. Helen Jones is the Project Godwit Research Assistant. Based at the Nene Washes, Helen's role is to monitor the nests and chicks of black-tailed godwits during the breeding season. Helen monitors the breeding attempts of wild godwits including locating nests for headstarting, colour ringing adults and chicks and fitting and retrieving geolocators. She has worked on stone curlews, common scoters and corn buntings before joining Project Godwit. Lynda is the Senior Research Officer for Project Godwit. She is conducting research to help establish the effectiveness of headstarting for the recovery of black-tailed godwits in the UK. Lynda is responsible for the post-release monitoring of the headstarted birds in and around the Ouse Washes, as well as monitoring the wild godwit population at WWT Welney. Charlie is the Senior Site Manager for the RSPB Nene Washes Nature Reserve, the most important site in the UK for breeding black-tailed godwits. Charlie and his reserves team manage over 800 hectares of habitat at the Nene Washes, providing the conditions for black-tailed godwits to thrive. As well as the wildlife, Charlie and his team manage herds of grazing cattle in the summer months – these cattle help to manage the vegetation on site. Leigh is the Centre Manager of WWT’s Welney Wetland Centre. Leigh and his team manage over 400 hectares of wetland reserve as well as an eco-friendly visitor centre, welcoming 30,000 visitors each year. Leigh is an expert in habitat management and species protection. 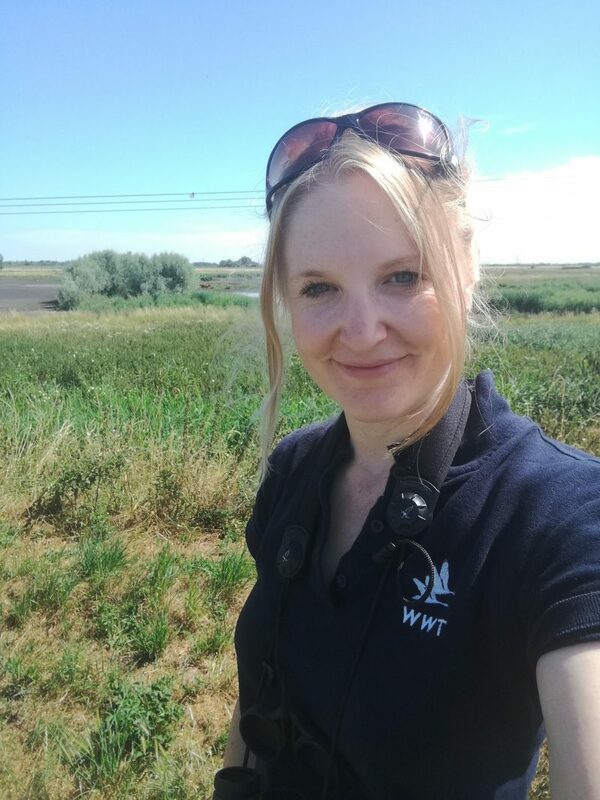 For Project Godwit, Leigh oversees all activities at WWT Welney and manages the Lady Fen release site, the only site holding breeding black-tailed godwits at the Ouse Washes. Jonathan is the Senior Site Manager for the RSPB Ouse Washes Nature Reserve. Jonathan and his team manage the Ouse Washes making sure the washes perform at their best for breeding waders and wintering waterfowl. Jonathan is an expert birder and also knows a fair bit about the Nene Washes and their godwits having been the site warden many years before his hop over to manage the nearby Ouse Washes. Nigel is WWT’s Head of Conservation Breeding. With over 30 years’ hands-on experience, he has worked in the UK and abroad with over 160 species of wildfowl, flamingos and waders, and has been directly involved in the re-introductions of over 10 species. Nigel oversees the aviculture team headstarting black-tailed godwits at the Ouse Washes. Nicky is a Conservation Breeding Officer at WWT and leads the rearing and release operations for Project Godwit. Nicky has worked with numerous species including Baer’s pochard, spoon-billed sandpiper, common cranes and most recently, black-tailed godwit, and she’s no stranger to aviculture in the field having taken part in the 2012 headstarting expedition for spoon-billed sandpipers. Katie is one of WWT’s three resident veterinarians. Katie specialises in wildlife health in the context of biodiversity conservation, and her PhD research concerns health management in wildlife translocations. Katie is an expert at assessing disease risks and coming up with strategies to prevent disease. Katie leads on the production and implementation of health management plans for black-tailed godwit headstarting. Hannah is the Project Manager and is based at the RSPB. Hannah keeps the project on track and works closely with the rest of the Project Team to deliver the project’s aim – more godwits! Hannah has a background in species recovery and reintroductions and should be your first port of call if you have any questions about the project. Rebecca is a Principal Conservation Breeding Officer at WWT. Rebecca has 10 years’ experience working on wildlife translocations, specialising in waterbirds. She is an expert in the translocation process and lead author of the AEWA translocation guidelines. Rebecca is WWT’s coordinator for Project Godwit. Jeff is the Regional Director for RSPB in the East of England. Jeff leads the delivery of RSPB’s conservation and engagement work across the East. Jeff has a background in nature policy work and oversees a number of conservation projects in the region including Project Godwit. Header - Flying Godwit by Edwin Kats (rspb-images.com). Photo of Hannah Ward - Matt Adam Williams (rspb-images.com).